We are currently out of stock for complete systems. The increased demand for storage systems as well as a wide range of possible applications require continuous advances in our battery- and manufacturing-technologies. In April 2019 we present the next generation of redox flow batteries. A special manufacturing process facilitates the construction of flexible, scalable systems with standardized, modular stack technology. 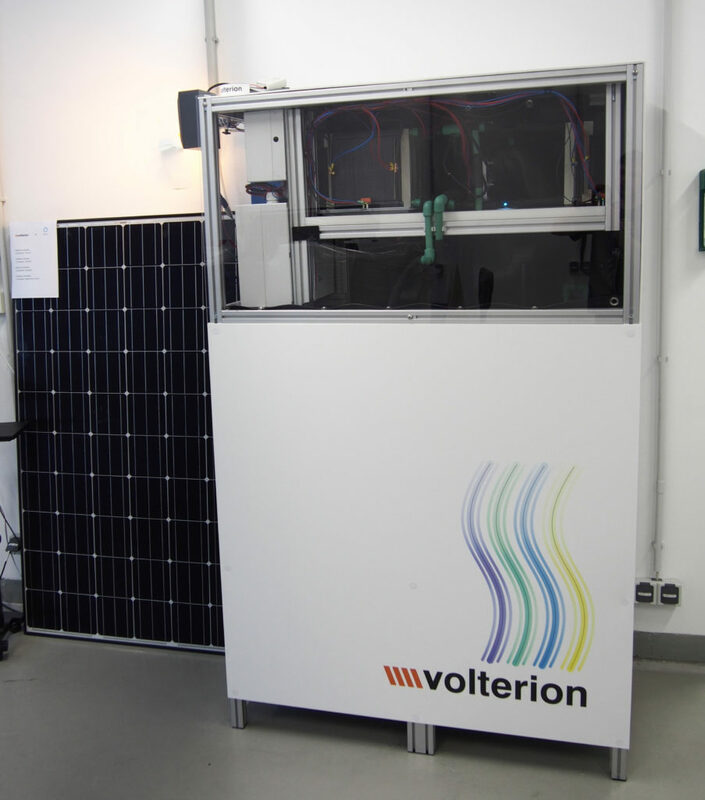 In order to demonstrate the many advantages of our technology we can provide industrial users, energy suppliers and research institutions with short-term use of a fully functional Redox-Flow Battery. These demonstration systems are ready-to-use and can be supplied with suitable invertors on request. These batteries offer a wide range of design options for configuration and adaptation to individual customer requirements.